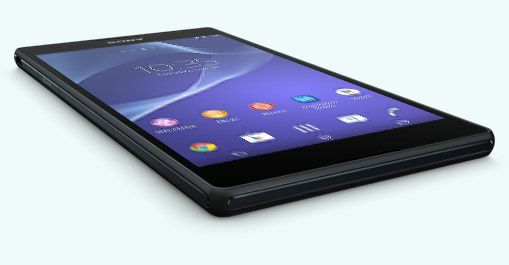 Back in January, Sony announced its affordable phablet range: The Xperia T2 Ultra and Ultra dual. Both feature 6-inch “Triluminous” displays with 710p resolution and the Mobile Bravia Engine 2. On the front side is a 1MP camera, with a 13MP snapper on the rear as well as a 1.4GHz quad-core processor with 1GB RAM. But none of that’s important, after a couple of weeks of leaks and whispers here and there, the T-mobile compatible model has passed through FCC and looks set to launch on the Magenta flavored carrier. Of course, we don’t yet know any pricing or availability information. It’s almost certainly going to be priced at the mid-range point. Essentially, a device for people who want a phablet without paying a fortune for the Galaxy Note 3. If you’re interested, you can thumb through the FCC filing here. Traitor!!! You shall regret those words when Note 4 launchs! The impending arrival of this phone only serves to give more credence to the rumors of the Z2 being a Verizon exclusive. Sony does not make CDMA phones. Only gsm phones. I wonder if order z2 from UK can i use it t mobile US can i use it with lte without any problem rigth. o may you really want this phone. may i ask how much cost on us dollars. at xperiablog.net post at UK xperia z2 delay anyone not order advance. My total cost including a bumper, front/back screen protectors and shipping was $826. No, I have the Z1 also purchased from Clove in the UK. I really like it. I enjoyed the Z (international unlocked version bought on Ebay) but feel the Z1 is a great improvement on it. I was going to stick with this one until I read about some changes (front facing speakers, different screen mainly) on the Z2 that changed my mind. Yeah that’s what I liked about the z2 about the speakers its facing towards u like the HTC one instead of on the sides. I especially like that they’re “hidden”. I really like front facing speakers but don’t like what I consider to be an ugly grill on the face of my phone. I am very well aware of that, but if you had been following the rumors, you’d see that that might change shortly. Check out the link that thepantherlady posted if you haven’t already. Im hoping at least sony usa will offer the unlocked version D6503 per pantherlady, which also support all tmo frequency. That would be smart. They hopefully will if the Z2 becomes a Verizon exclusive. Sony seems to be gaining a bit of a following on T-Mobile after the last flagship releases. What are the chances the Z2 will coming to tmo ??? Just wanna ask ur opinion..Thanks! If you had asked me a few weeks ago, considering Sony’s last two flagships came to T-Mobile & they haven’t made a CDMA smartphone since the Ericsson days, I would have said damned near 100%. But now, considering T-Mobile is getting the T2 & the rumors of the Verizon exclusive, I would say less than 50%. Xperia Play had Verizon version. It is true. The Xperia Play was a Sony Ericsson phone & like I said, Sony hasn’t put out a CDMA phone since they separated from Ericsson. Hopefully the company will get it and if Verizon does have an exclusive release then it isn’t a full one and only for the first 60 days. T-Mobile has been late to the game in getting the Sony phones anyway. The company seems to be a few months behind the official release and I would not have expected them to get it when the phone is released anyway. I’d like to get my hands on the Z1 compact. My only complaint with T-Mobile and the Sony phones is T-Mobile’s dang delay in releasing updates. The T-Mobile Xperia Z is still on 4.2 and Sony is releasing 4.4 in QT2. Android 4.3 was released around the last week of December by Sony. There have been smaller updates to things like Sony applications that are not pushed to our phones unless we go the unlock and flashing ways. If the z2 became a Verizon exclusive I’m gonna be mad I’m willing to switch from a nexus 5 for that phone. That’s a big deal for me Crossing my fingers that it isn’t. How does the FCC filing indicate carrier? Bands. Specifically band 4 for WCDMA. I’m sorry, I am a fan of Cam, but using “snapper” to refer to the camera is a sign of poor writing. It’s right up there with using “temblor” to talk about an earthquake. I really want to see if the z2 is coming to magenta. From what i got from my Sony rep, Z2 will not come to T-Mobile. Based on Sony not having the US market in the correct release time frame. He did mention that TMUS will just jump into the Z3 possible at years end. I would like to know when will Big T,get windows tablet? Come John gets one! Sammy bring out Note with windows! You can call it Note 4W1. The only Sony that I am interested in is the Xperia Z1 Compact, where is it T-Mobile?????? Everyone relax about the Z2 not specifically coming to Magenta, honestly Sony is very good about putting out unlocked phones with our bands both LTE and HSPA. Additionally of you are willing to wait a month or two the price drops fast. I should know my current phone is the Z Ultra and I picked if up for 480 on amazon work Amazon prime for free 2 day shipping. So all in its a heck of a deal on a sweet phone and best of all no EIP ! I did the same thing! Got the white one for $470 with prime 2 day shipping! AMAZING PHONE!!! The shortcoming of these phones is RAM. 2GB should be a standard even midrange phones. I would LOVE a Sony phone but I would not be able to handle opening that little door every time I need to charge my phone. I do not care about water resist. Give me at least one version without the little doors and we can talk Sony.